Ready to find out what this #beautyplayground is all about? 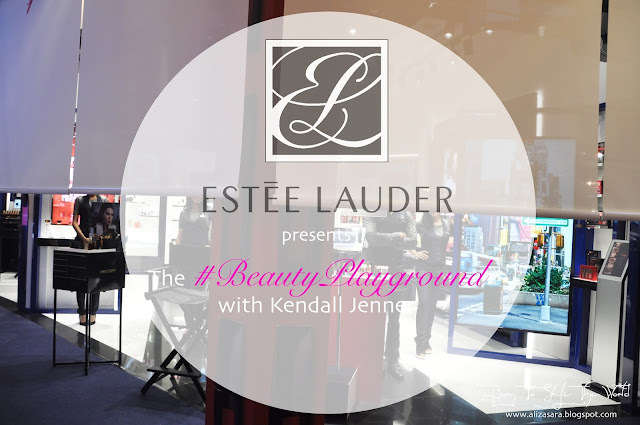 The name Estee Lauder is definitely a brand well known worldwide, and they have something exciting to share with you called the #beautyplayground with Kendall Jenner, making every girls dream come true. This happens to be the first concept store in the world, and its available right here in Sunway Pyramid, Malaysia! The concept store is a mix of fun, fresh and exciting activities, bringing beauty to a whole new level. Dont get it? Well, read more about it to find out! Eager to find out whats behind those curtains. With so many beauty fans getting all excited during the launch, we were all eager to find whats behind those curtains. Some even tried to peep through to see whats in store. We had Patricia K as the emcee of the day to welcome the media to the exciting event. Estee Lauder Directors were also there to unveil the concept store. Leo Wong showing a demonstration. 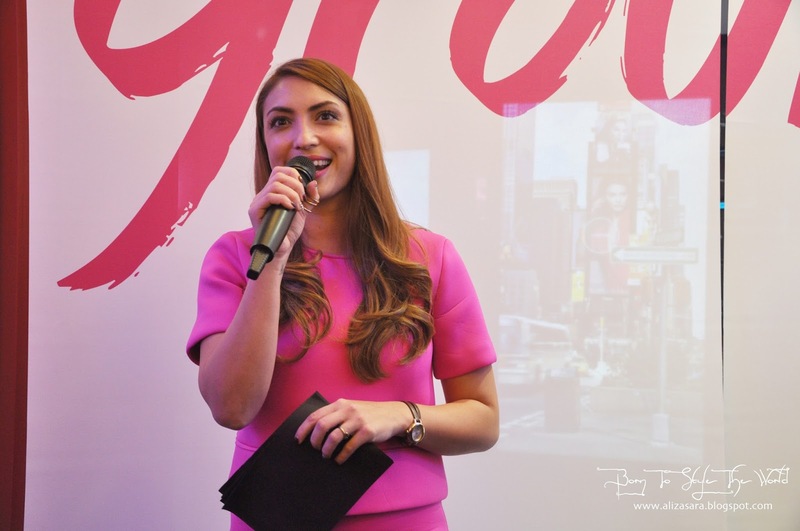 Its no surprise that they have selected Malaysia, where the youth is a great influence to the country, as their first location to introduce this concept store. Once it was unveiled, Particia K gave us a tour around the store showing the '6 play areas' that visitors can do while they're there, which will be mentioned below. 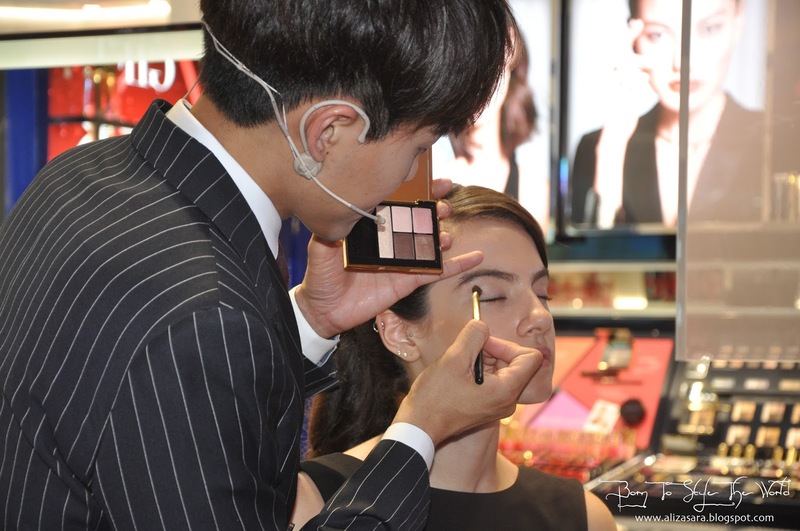 Also, we had Leo Wong, a makeup artist who came all the way from Hong Kong to show us a demonstration on a Kendall Jenner look with Estee Lauder. Showing methods on how to achieve a natural stronger shade. Using the lovely shades from Estee Lauder. The Kendall Jenner inspired look. 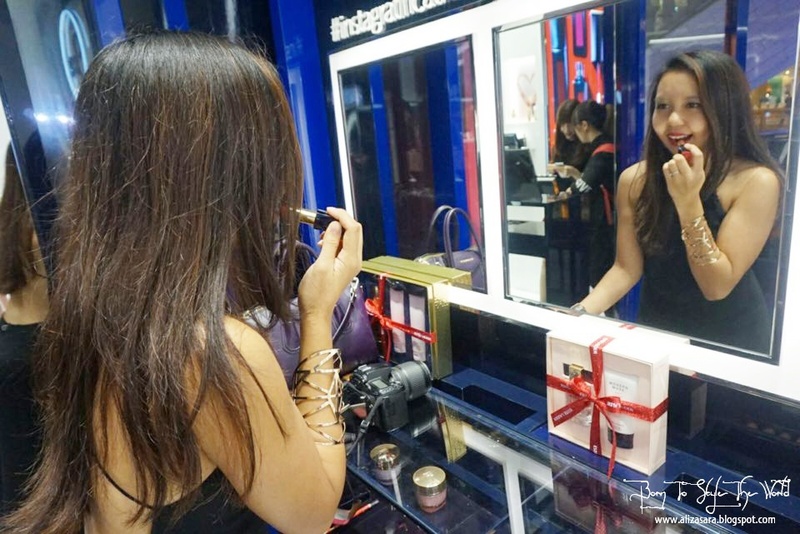 With such a lovely make over done by Leo Wong, i think its pretty obvious that Estee Lauder has really put an effort to make their products to be the fresher, funner choice for beauty addicts. 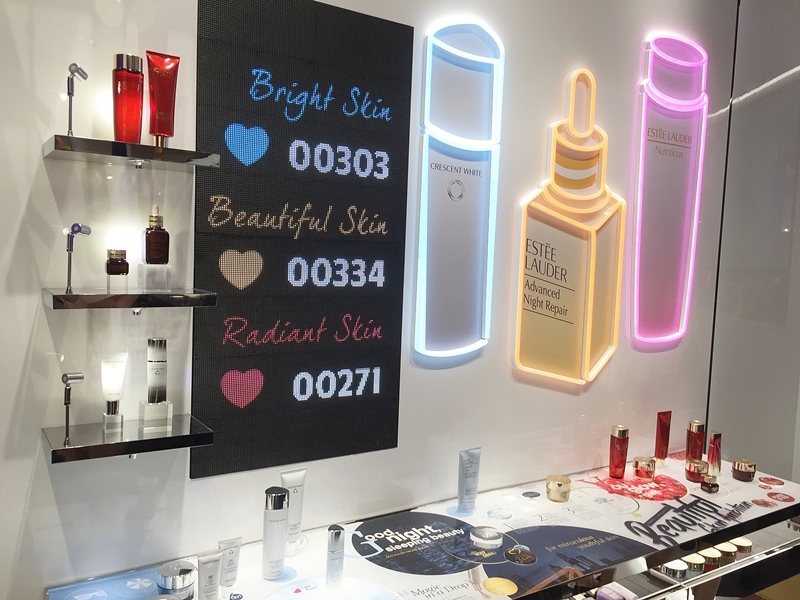 With a store surrounded by elements of current 'it' girl and face of Estee Lauder, Kendall Jenner, its no doubt that this #beautyplayground only promises the latest of the season. 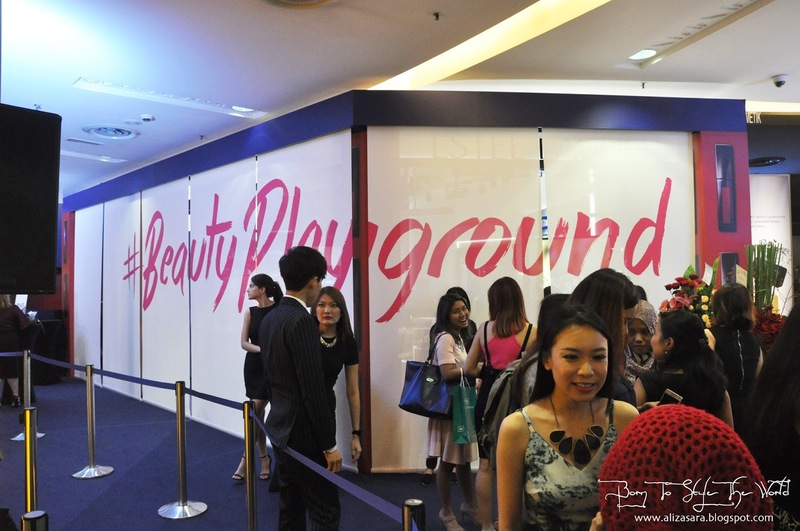 What can you do at the #beautyplayground? 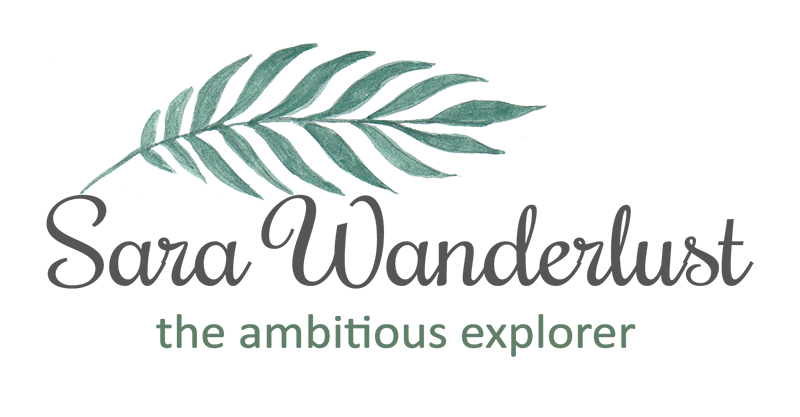 There are a total of six play areas where it takes you through a transformational journey for women from all ages. The first stop here would be the 'Glow on' station. For a better glow on your skin, they have well trained beauty specialist to assist you to achieve greater skin which leads us to our next destination, the 'Glam Up' station. The 'Glam Up' station is personally my favourite station, cause a girl can go wild with endless possibilities using colors to create looks that are uniquely them. 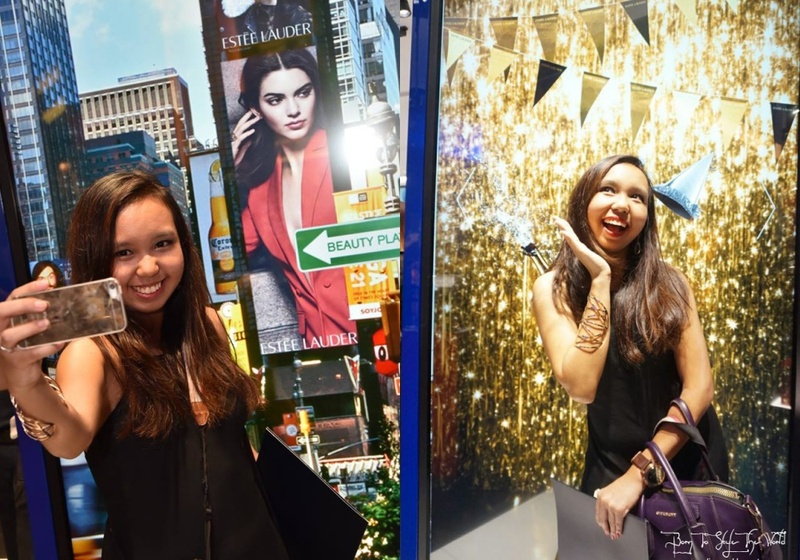 If you happen to be here at this station, be sure to tryout their latest Pure Envy Liquid Lip Potion which is a must to every beauty fan! Why not Get Polished while youre there. 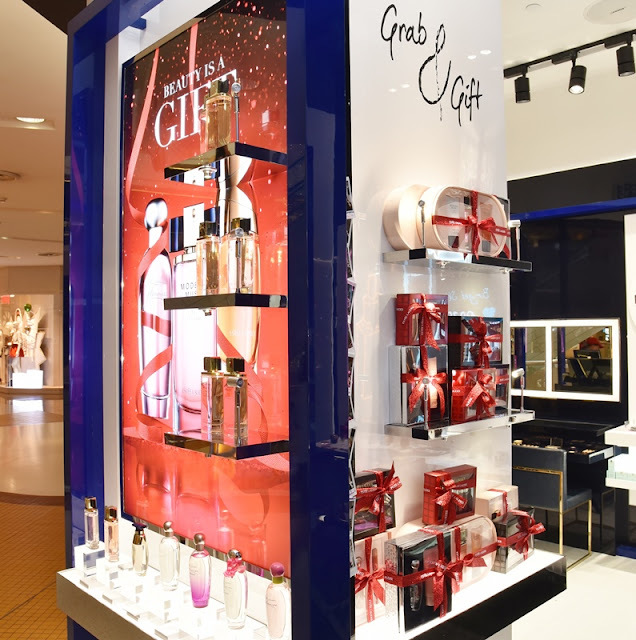 With 3 down, 3 more to go, how can i forget to mention the 'Mix and Mingle' section where you can spray yourself some of the latest fragrances and check out the 'gift guide' area for some gifting inspirations! Sniff away on their modern muse fragrances, cause i love the modern muse collection. Patricia K showing off the Strike a Pose Station. You can also chill with Kendall Jenner and find out her fave products. 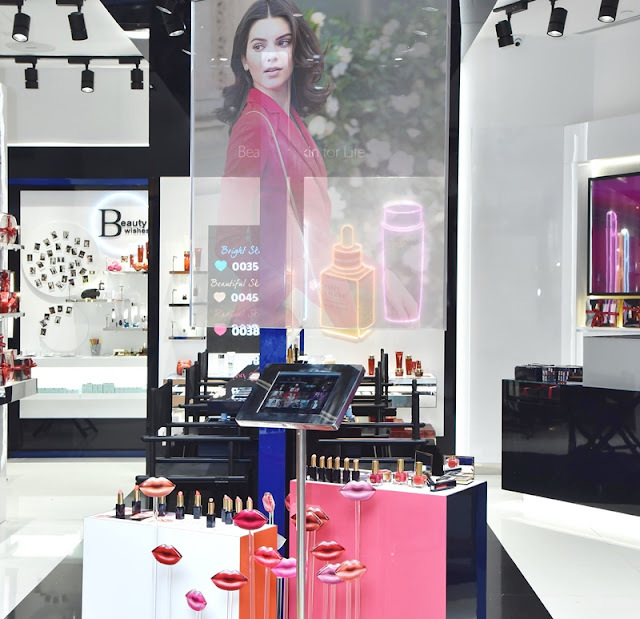 And last but not least, would bet the 'Chill with Kendall Jenner' station which you can check out her latest looks which are provided on Ipads and find out what her favourite products are online. I was also told that they will be having themed makeup demonstrations every weekend lef by the 'Dream Team' to further inspire beauty addicts. So there you have it! 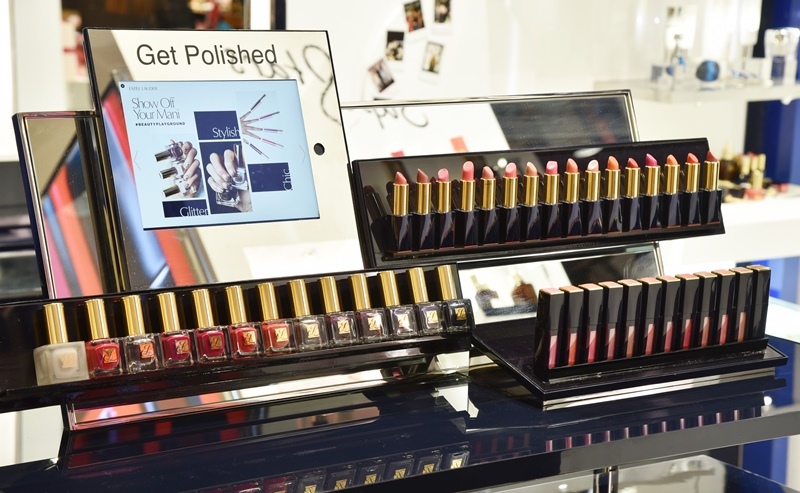 Im glad that Estee Lauder has decided to come up with something so exciting for us to play with. hehe. And if you cant make it to their first concept store, you can also check them out online by visiting www.esteelauder.com.my. From exciting daily promotions and exclusive stories on Kendall Jenner available online, beauty has never been easier! Be sure to visit and play at the Estee Lauder #beautyplayground and visit www.esteelauder.com.my. 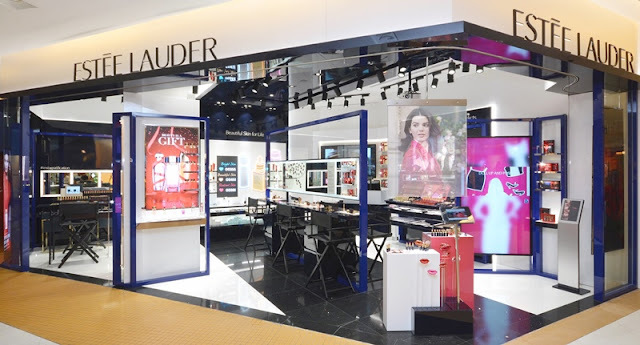 wow...estee lauder .i like this brand. I hope there will be more concept stores like this one in other parts of the country. We want to look beautiful, too! The concept store look nice. Seem like a lot of things can do in this store. Thanks for sharing. This is really exciting! The playground of makeup? Heaven! The inspired Kendall Jenner look are so neat and simple. Love it! I love the Glam Up section, so many colours to play with. The concept is so exciting! Everything about being pretty can be found in this playground. you look so cute at the strike-a-pose station :P love their new concept store too! have not tried walking into the playground yet, must go in when i go there one of these days. wow!! !you are so pretty!!! I like Estee Lauders brand!! This was very fun event! I enjoyed every minute of it! Love this playground. Lovely session with Estee Lauders... Their playground is so nice! !